During my last support group of the semester, we discussed 2018. One student, a senior and a teen mom, shared that she was more motivated than ever to graduate on time in May. Her son is only a few months old, and childcare is an ongoing challenge for her. Even though her path is far from easy, she was excited for what the new year would bring. Many of us spend this time of year reflecting on where we want to be. Statistics says that almost half of us will be setting resolutions and goals for 2018. Among the most common goals are: I will exercise every day and eat healthy. I will read one book a month. I will budget my money better. I will get organized. I will travel. According to Nielsen Analytics Firm, “Only 14 percent of people over 50 actually achieve their resolution, compared to 39% of people in their 20’s.” Many times, people in the 15-24 year-old range have a reputation for not being consistent or not being motivated. However, that just isn’t the case. Students and young adults are willing to take risks and to follow through on those risks. Resolutions are a perfect example of this. The older we get, the more we allow scars of the past and fear masked as wisdom to get in the way of achieving our goals. We get into our routines and ruts. We insulate ourselves. Our dreams and goals become safer, tamer, less challenging, or perhaps even less world-changing. We don’t have to push ourselves to change, and no one will force it upon us. We calculate our risks and then discuss all of the pros and cons before making a commitment. We often fail to reach them, and in turn become a bit disenchanted with goal-setting. However, the teen moms I have in my support group each week are more than willing to take risks and follow through with commitments in order to achieve success. What can we learn from them? The mom I mentioned, who is excited and driven to graduate on time, is a great example. She knows that it helps both her and her child in the future for her to do so. Financial difficulties and lack of sleep, among other challenges, are not deterring her. She knows what she wants and knows the path she will need to walk this year in order to achieve her goals. And I believe that she will succeed. As you make resolutions for 2018, or even if you don’t plan to make any, take a minute and take a page from the students and young adults around you. Encourage your children or the students you interact with each day or week. Ask them what their goals are, and push them to reach for their dreams this year. Statistically, they are more likely to succeed, and they will remember who cheered them onward and who the naysayers were. Pursue your own dreams with zest and passion, and don’t allow the potential risks or the fear of failure prevent you from moving toward an amazing 2018. What are your goals for this year? 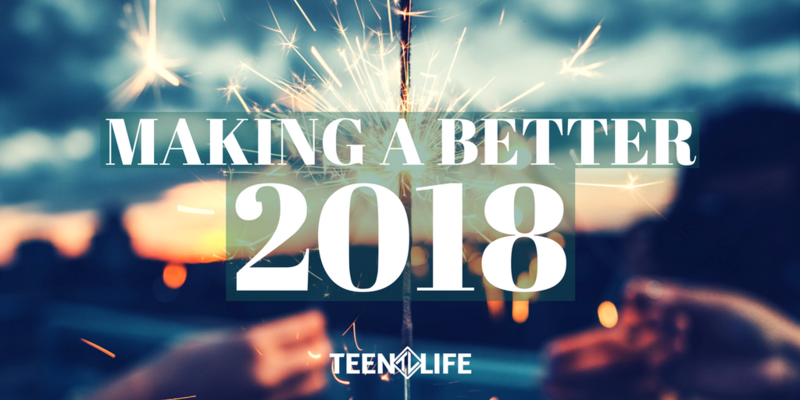 How can you help the teens in your life reach their full potential in 2018? We are wishing you a Happy New Year full of opportunities and possibilities!